My boys have been doing a lot of building and experimental building. Read: coming up with ideas to build and then using only specific materials to build with! Their building materials of choice? Both LEGO and K’Nex! The materials were selected after they chose what they were going to try to build. Both boys sat down and thought out their basic design (ages 7 and 9). 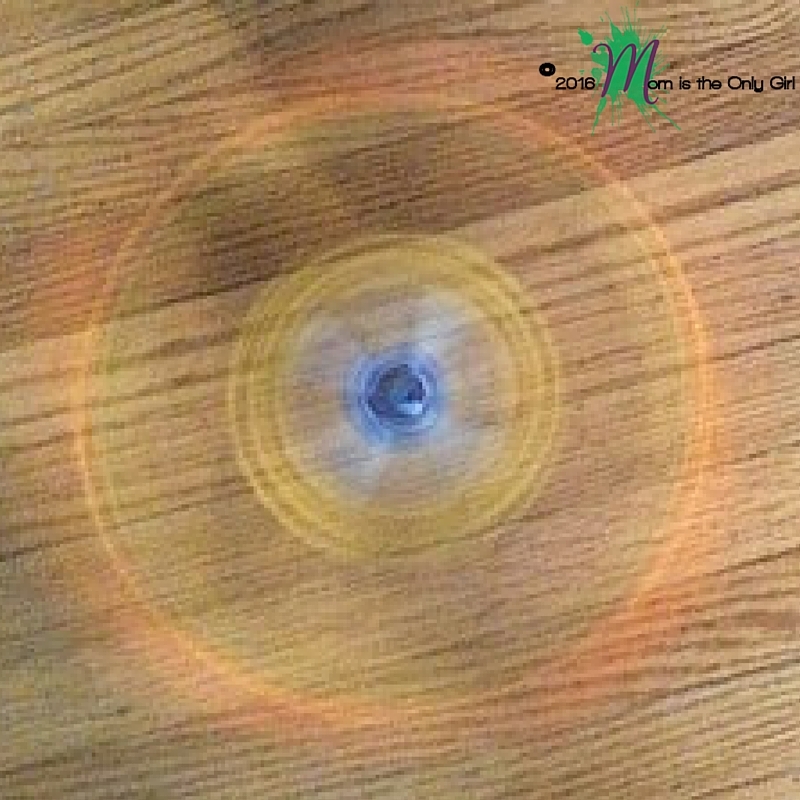 They started trying very hard to create round objects that would spin, but discovered in their testing phase that square objects look round when spun. 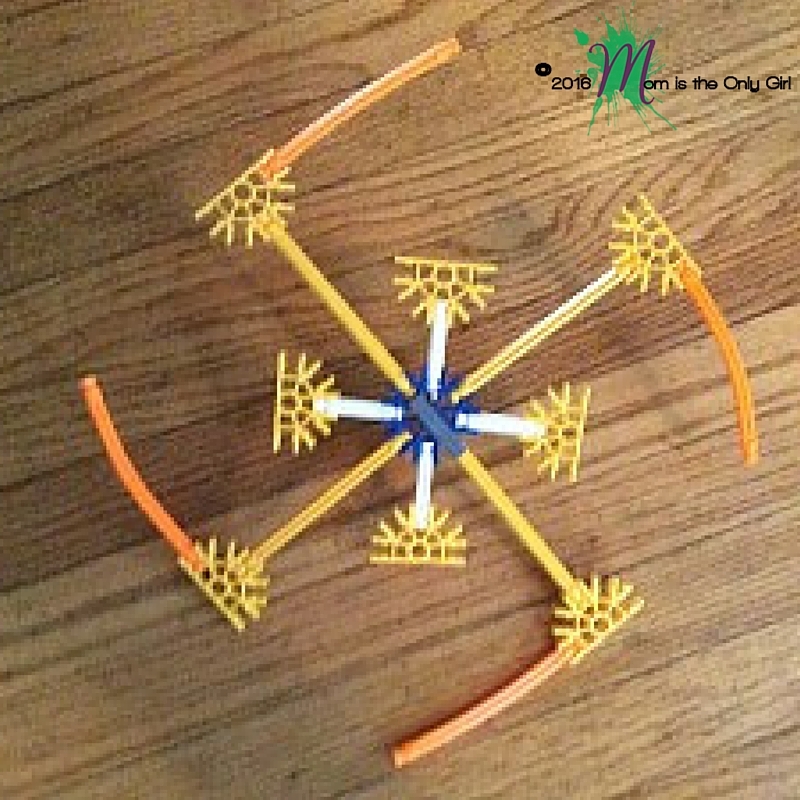 This opened a variety of ways to build their spinning tops! 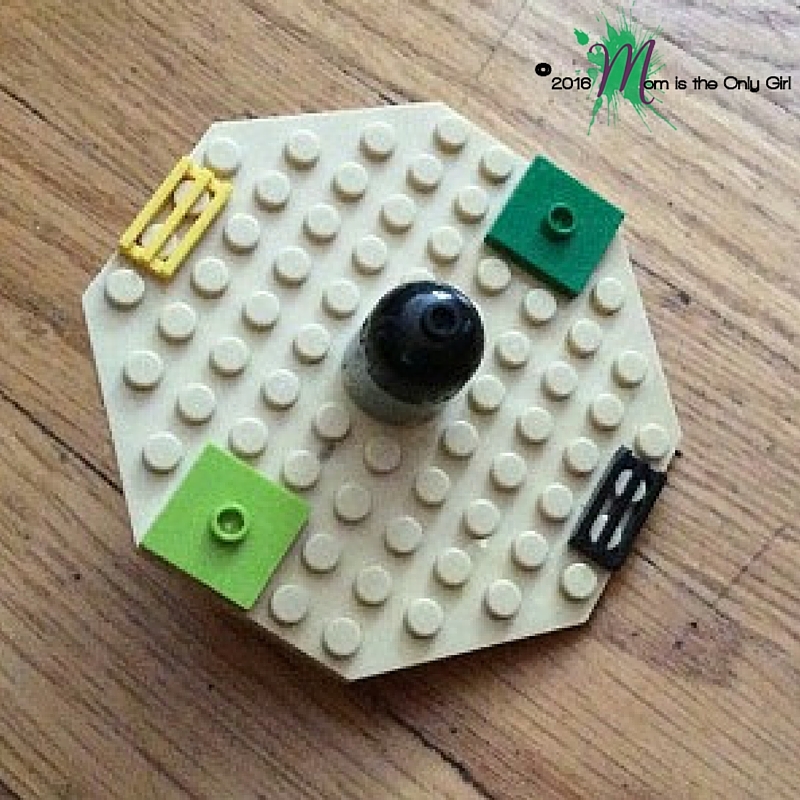 When using LEGOs, the boys tended at first to grab the more round pieces, but as they tested more and more of their creations, they started to shift towards the square pieces as they seemed more stable when they spun. It was interesting watching them go through a little scientific process to narrow down both their building materials and technique. Their structures got pretty complex, but also heavy and they soon realized the tops wouldn’t spin very well if they were heavy, either. 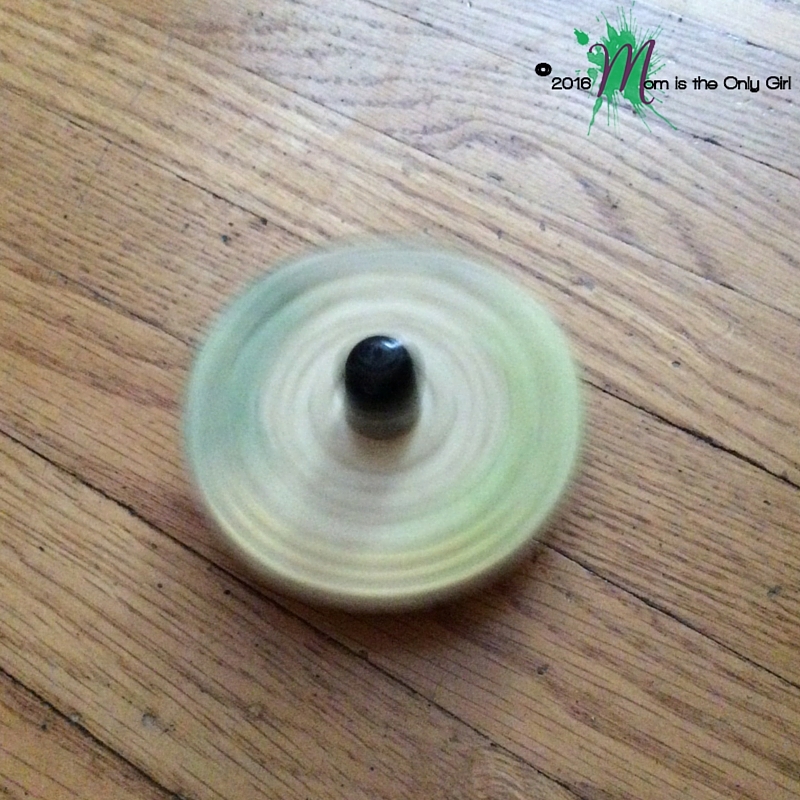 This is the spin top in the title image. 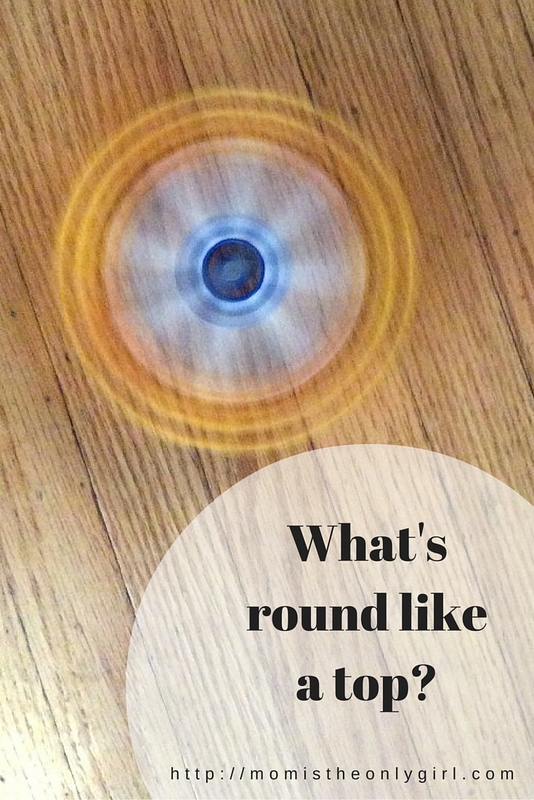 Give this activity a shot with your kiddos! Offer the activity suggestion and see what creations they come up with! 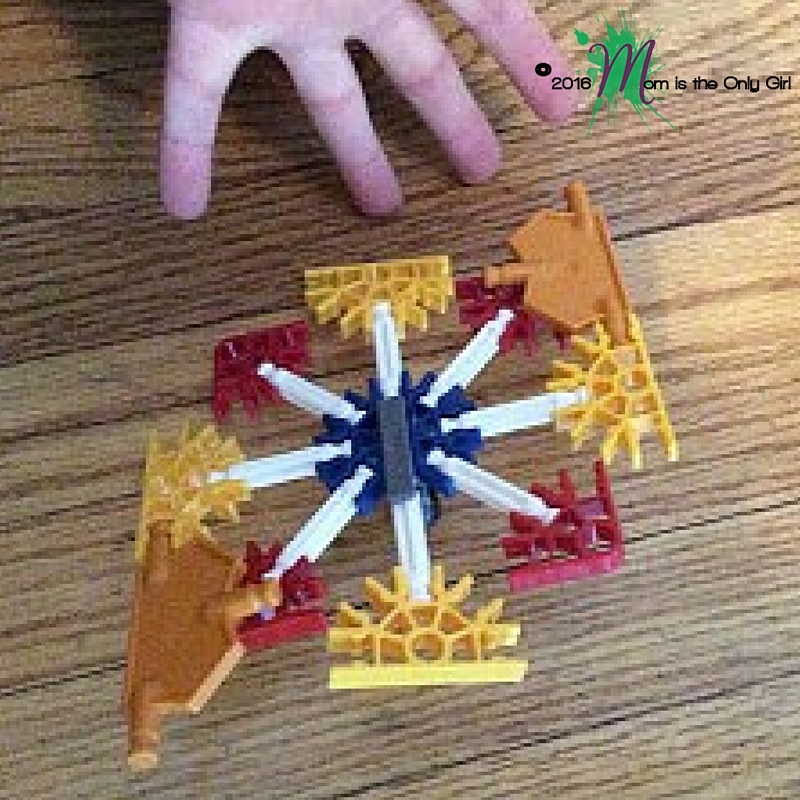 What are your kids’ favorite building toys, and what do they build?